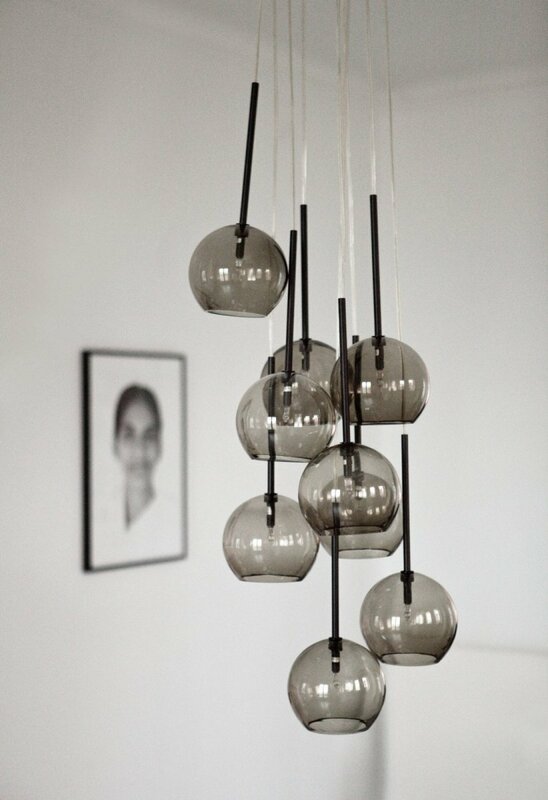 Ice Chandelier 9 SR6 is a mouth-blown glass chandelier with simple beauty, designed by Sofie Refer for &Tradition. 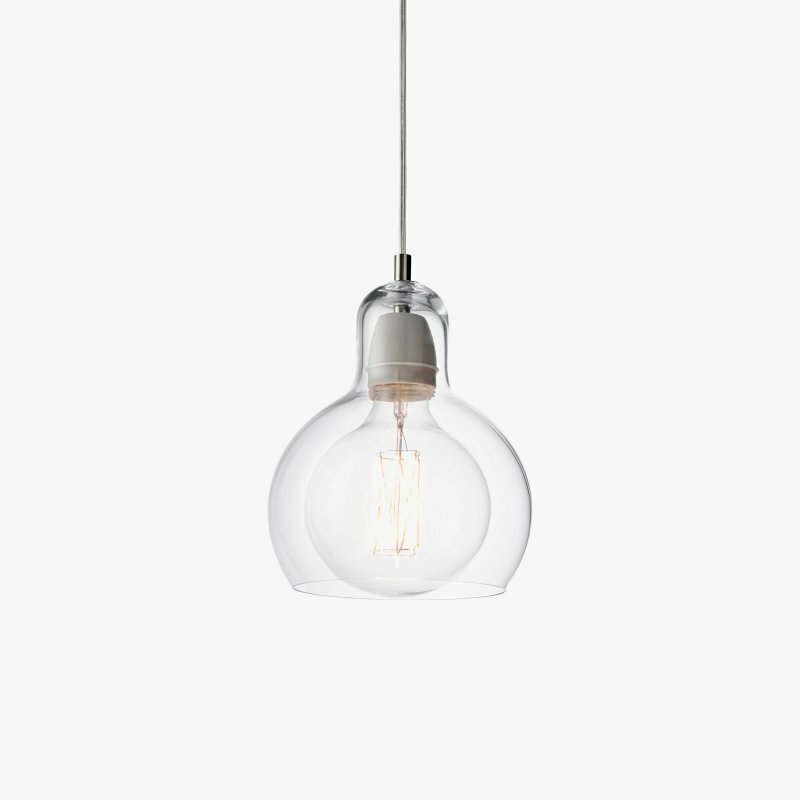 It has a simple, timeless look but creates an extraordinary mood in the room at the same time. The inspiration behind the award-winning Ice Chandelier harks back to the dazzling glass and crystal chandeliers of the past. 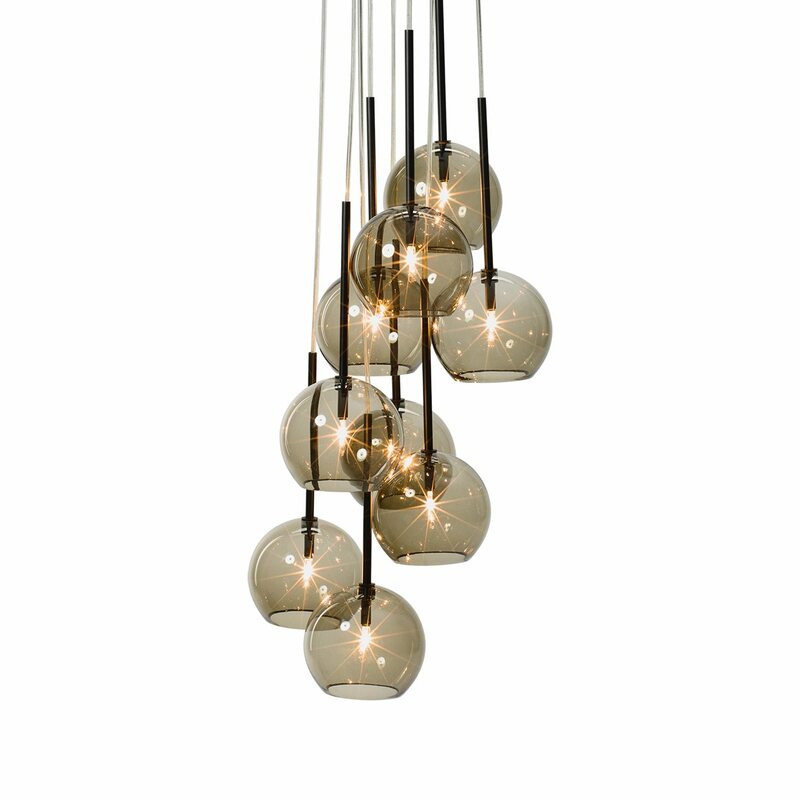 A cluster of scintillating bulbous pendants, it preserves the lavish appeal of that archetypal luminaire. Yet, Ice Chandelier&apos;s asymmetrical configuration and simple, unembellished glass globes bring its aesthetic right up to date. The chandelier consists of a circular canopy from which nine pendants hang. 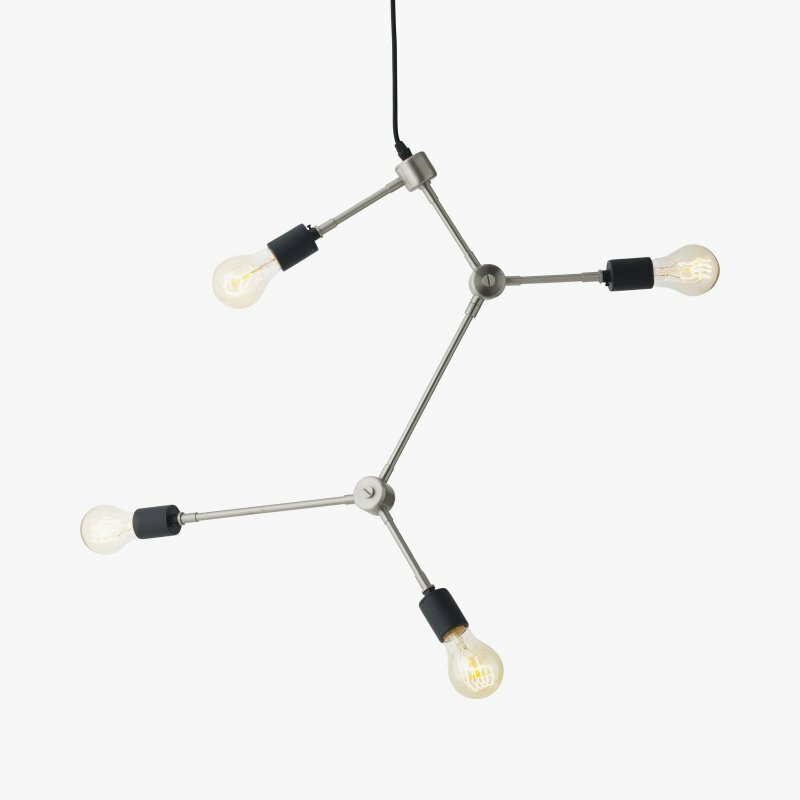 The halogen light sources emit a soft, ambient light. 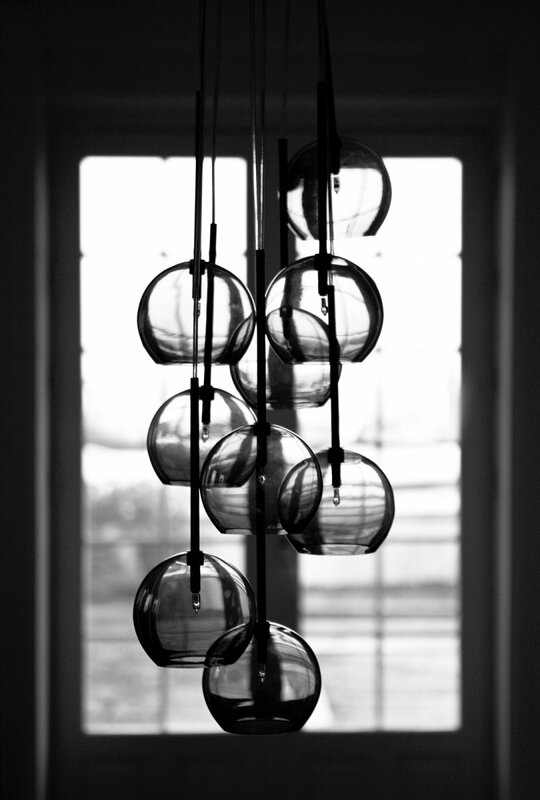 They are encased by hand-blown glass globes, each of which is unique in its character; evidence of the craftsman&apos;s intervention in the manufacturing process.